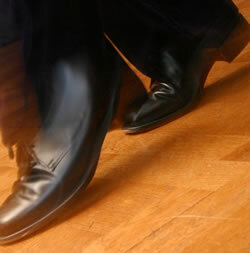 Dannsa are stepping into our second decade with as much passion for Scottish traditional dance as ever. 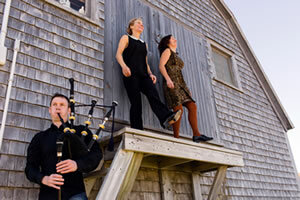 The core dancers, Caroline Reagh and Sandra Robertson, and piper and stepdancer Fin Moore always dance to live music - fiddle, pipes and Gaelic song. The relationship between the music and dance is fundamental to our spirit and style and Dannsa take great pleasure in sharing this with communities throughout Scotland. Dannsa have had first-foot involvement in shaping many traditional dance events in Scotland ; performances throughout the country and indeed elsewhere and community and schools workshops and ceilidhs. The successful dance festival Srathspè Away established and run by Dannsa for nearly ten years is growing now with a local area committee and has exciting plans for 2014. We have had a relaxed year, after the creation and tours of our ‘Connections’ show in 2012. This year we have been strengthening friendships with some great Irish dancers in Derry and Belfast. We are now planning for the next few years, so keep watching this space. For those of you who love our music, click on the musician's name from the 'Connections' tour to be sent to where you can buy their cds - Mac, Matheu, Fin, Catriona, or try i-tunes and if you fancy learning to step - try our tutorial dvd. Whether or not you know the difference between a reel-step and a two-step, Dannsa will have you up on the floor agus a' Dannsa. If you wish to subscribe to our mailing list, then send us a wee email, click here?